Home to the Sorbonne and the Panthéon, Paris’s Latin Quarter was traditionally where the intellectuals congregated. Still known for its student population, today’s Latin Quarter is a lively spot of narrow streets lined with cafes, bars and bistros, a number of excellent museums, a botanical gardens and a great atmosphere. 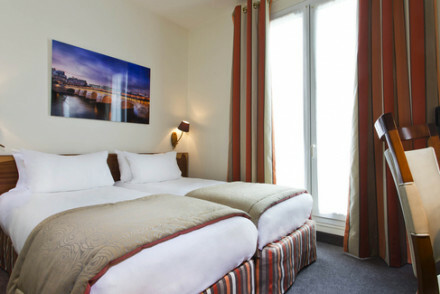 And if you opt to stay in one of our recommendations for the 10 best hotels in the Latin Quarter you’ll be very well placed to see all the main sights of Paris, and enjoy excellent local nourishment and entertainment of an evening. Straddling the 5th and 6th Arrondissements our selection for the 10 best hotels in the Latin Quarter ranges from the cheerful and traditional Hotel Degrés de Notre Dame to the elegant and beautiful Villa d'Estrees. Les Dames du Pantheon has a fantastic position overlooking the Panthéon. There are just 35 rooms, all chicly decorated in neutral colours, but with some some engaging artwork. This is the perfect hotel for a Paris weekend. The name might sound gimmicky, but the Hotel le Petit Paris a ‘little Paris’ in the way its interiors reference many of the French eras. Expect colour as well as eclectic details. The location is superb, moments from the Garden de Luxembourg and a few stops on the Metro from all the main sights. For spectacular views and a designer interior one of the best hotels in the Latin Quarter has to be the Notre Dame Hotel. It’s got stunning views over one of Paris's most famous landmarks, coupled with retro-modern interiors by Christian Lacroix. 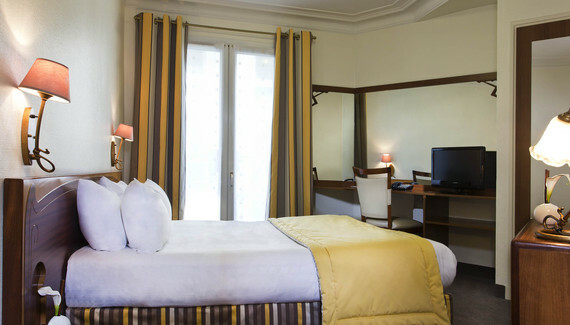 The Villa d'Estrees is another modern boutique choice, with just ten, elegant bedrooms decorated in a French Empire style. This is also one of the best hotels in the Latin Quarter for families - especially for families who appreciate a little style. 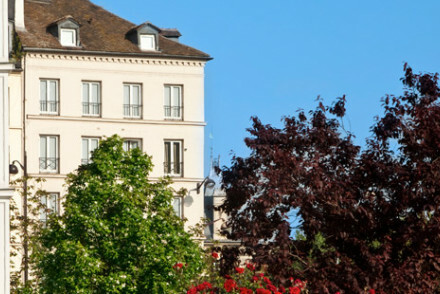 If you’re looking for something more traditional one of the best hotels in the Latin Quarter might be the Hotel d'Aubusson, a period feeling 17th century property arranged around a large courtyard. Smart and well run, this 50 room hotel is full of character, from the solid oak porte-cochere dating back to the 1600s to the Grand Salon. Another more traditional choice is Relais Christine is an elegant hotel, not far from the banks of the Seine, with lovely gardens and an excellent buffet breakfast. There are 51 rooms and the decor varies from modern elegance to more traditional luxury. 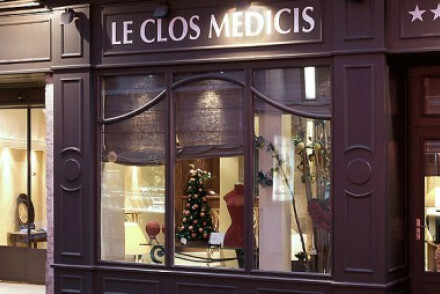 The Hotel le Clos Medicis is a charming townhouse hotel with 36 sophisticated rooms and a lovely breakfast courtyard. 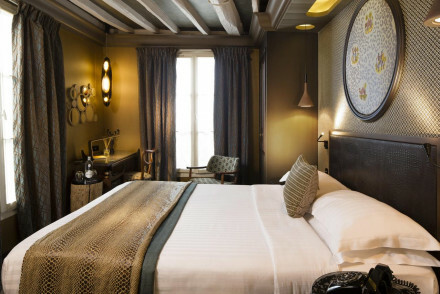 It has a very Parisian feel, and some quite chi-chi detailing, but the rooms are very comfortable - and generously proportioned, the atmosphere is friendly, and the location between St Germain and the Latin Quarter is excellent. The room rate, which starts from around £175 per night, is good too. You might also try the Grand Hotel des Balcons which is a larger, 45 room hotel, converted from a 19th Century townhouse. Rooms come in a variety of sizes, ranging from singles to family suites, starting from around only £80 per night. 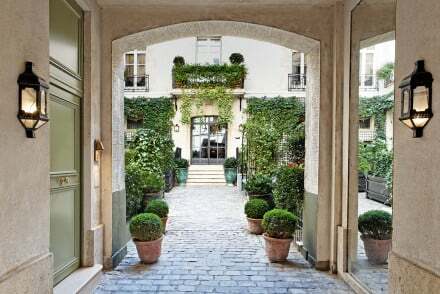 If you haven’t spotted one of the perfect 10 best hotels in the Latin Quarter on our list you could try expanding your search to include the 10 best hotels in Saint Germain des Prés? 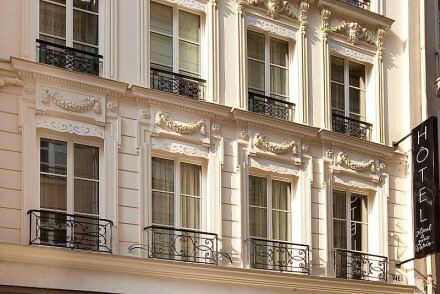 Or our recommendations for 10 hotels in Paris with Character? 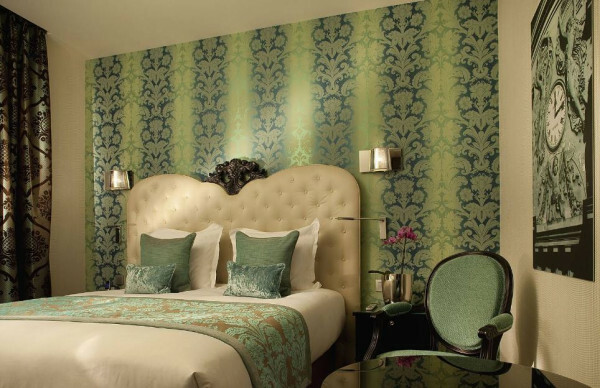 or one of our Paris Hip Hotels x13? Or you could expand your search to include all the best places to stay in Paris. Charming bedrooms for great value make this a sought-after base in the Latin Quarter, with views over Notre Dame. Large attic room has best views, suitable for families. Traditional French breakfast to kick start the day of exploring. A local find full of character and antiques. Sights nearby - Notre Dame is within walking distance. Views - Of Notre Dame, best from attic suite. 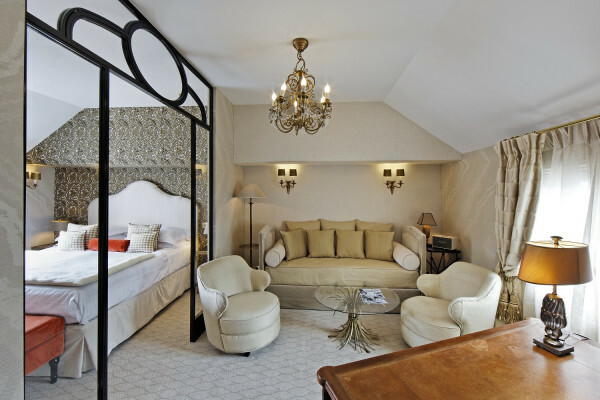 Overlooking Paris's stunning Pantheon, Les Dames du Pantheon is a superb hotel. Chic rooms are stylishly decorated with sharp furnishings and engaging artwork. With a fabulous central location, it's a great spot for a weekend in the French capital. Sights nearby - A stone's throw from the Panthéon. In what really does appear to be the perfect marriage of the old and the new, Le Petit Paris bases its interiors on a whistle-stop tour of the French eras. Reds, greens and whites of varying tones are the overriding scheme in the bedrooms, where trendy plastic chairs sit alongside opulent beds. Sights nearby - 250 yards from the Jardins de Luxembourg. In the Latin Quarter. A few stops on the metro from big tourist sites. 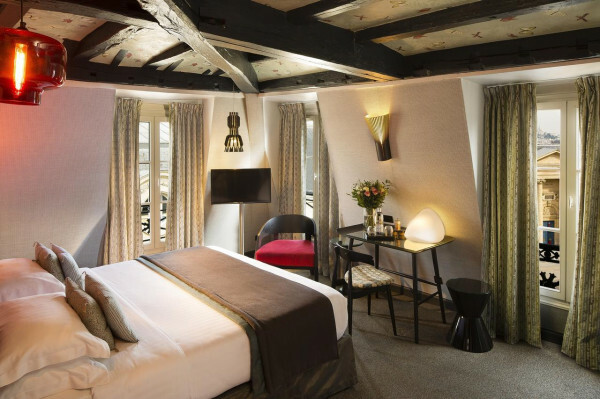 Spectacular views of Notre Dame from Christian Lacroix’s latest design hotel, in a 400 year old townhouse on the riverside. Rooms are decorated in retro-modern style, fantastical and fun. No restaurant, but a great position. City Style - A wonderfully chic hotel in central Paris, offering funky interiors and unbeatable views of the Seine and Notre Dame. Sights nearby - Having admired it from your room visit the Notre-Dame Cathedral for real. Great walks - Take a stroll along the banks of the Seine. Designer - Interiors by Christian Lacroix. Elegant boutique hotel in the heart of the Latin Quarter. 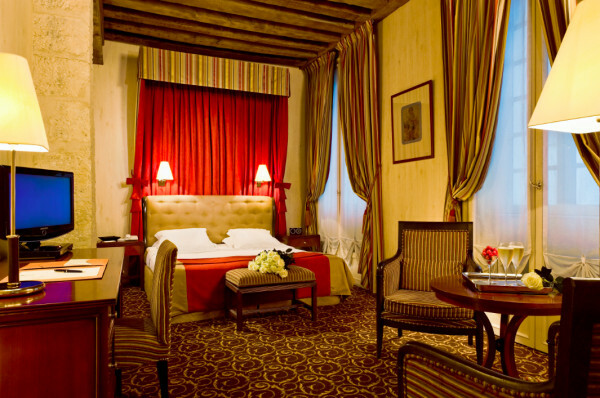 Just 10 spacious bedrooms, intimate and calm, decorated in traditional style with a French empire twist. Well located, would suit families. Sights nearby - The Louvre and Notre Dame both within walking distance. 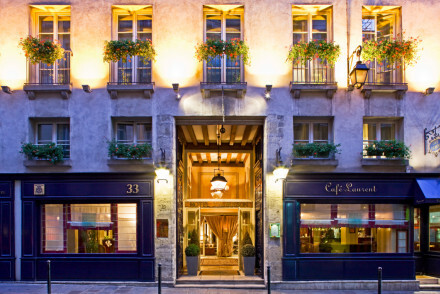 A truly elegant hotel in a peaceful area not too far from the banks of the Seine. Tasteful rooms, family rooms, and suites with traditional furnishings and all the mod cons. Lovely gardens and excellent buffet breakfasts. A great choice for a family or couple looking for total relaxation. Charming town house hotel with sophisticated rooms and a lovely courtyard for breakfast. Rich tones, gilt mirrors and animal prints. A very Parisian spot for families, groups or couples. 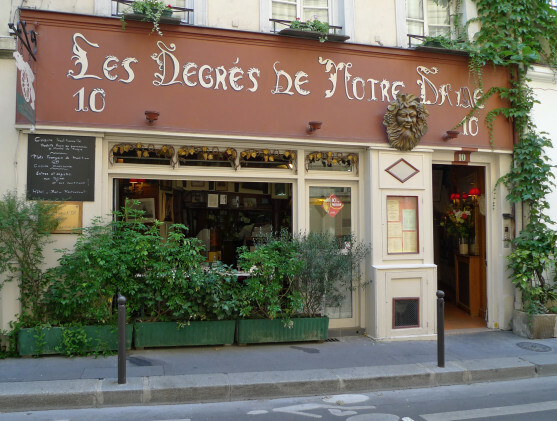 Sights nearby - Great location between St Germain and the Latin Quarter. Ideal base for exploring the city. 17th-Century honey-stone townhouse turned luxury hotel. 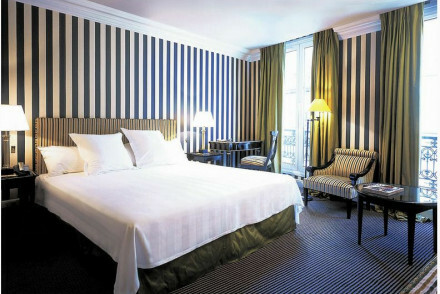 Ideally situated on the Left Bank of the Seine, this period-style hotel is smart and well run. Comfortable rooms are decked with quality furnishings and exposed beams. Enjoy a drink at the Piano Bar or on the quiet patio. 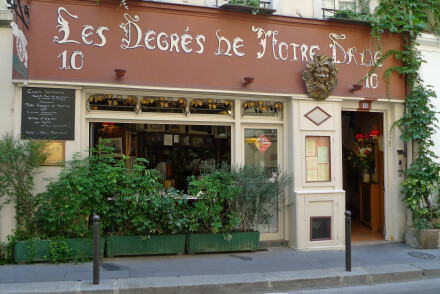 Writing a novel - Café Laurent has been the gathering place for literary giants (Sartre, de Beauvoir, and Camus) since the eighteenth century. Total relaxation - Shed the stress of the Paris streets with a massage in the comfort of your plush room, or read a book in the leafy courtyard. Local exploring - The heart of cultural Paris, surrounded by famous cafes frequented by all the greats, museums and show stopping shopping! Sights nearby - A scenic ten minute walk towards the river brings you to Notre Dame Cathedral, a Paris must see! 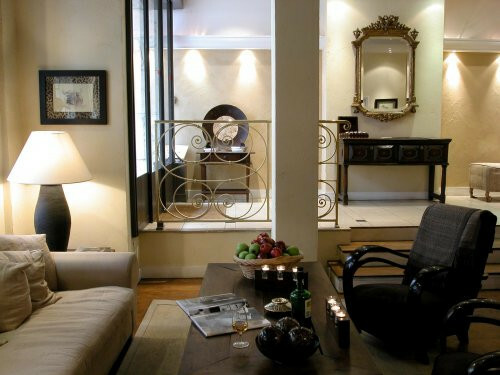 Charming 19th century Parisian townhouse with friendly service and delicious breakfasts. Various room types - singles, twins, and family suites - to suit families, groups, and couples. A family oriented spot and great value for money.